It doesn’t matter if you’re a company with $50 billion in revenues or $50 million, you probably have data everywhere. Data is at the heart of companies of all sizes and across all industries around the globe. 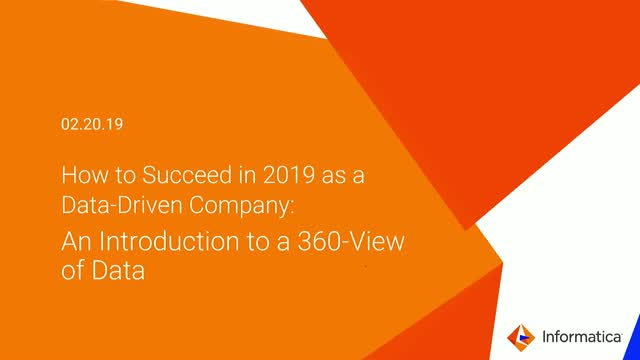 And for a growing business of any size, a trusted 360 view of data plays a critical role in productivity, providing business context, improving analytical insights, and creating the customer experiences you want to deliver. Many companies have realized that reaching their goals is faster with an end-to-end data strategy that includes master data management (MDM). But what is MDM exactly?